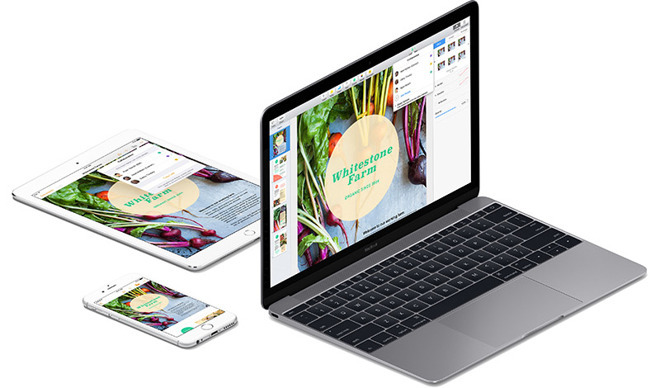 Following Tuesday's release of iOS 11, Apple has updated its iWork suite of productivity apps to better take advantage of the new operating system's features, with iPad-centric support for drag and drop, multitasking and more. Starting with Pages, Apple's latest app revision is headlines by a redesigned document manager for streamlined access to files stores in iCloud Drive and third-party cloud service providers. The word processor is also compatible with the new Files app, a central hub for local and cloud-based documents, images and more. Thanks to iOS 11's expanded support for iPad, Pages gets drag and drop compatibility for sharing text, images and other document assets with other apps. The release notes also tout existing multitasking features including Slide Over, Split View and the revamped dock. Apple also notes the usual unnamed performance and stability improvements. Apple's Numbers receives many of the same iOS 11 changes with support for drag and drop, multitasking and the new Files app. Specific to the spreadsheet software are new date, time, and duration keyboards designed to make data input easier. A related "smart steppers" tool lets users make minor adjustments to date, time and duration values already entered in a Numbers sheet. Like Pages, Numbers get support for the same Unite, Intersect, Subtract and Exclude commands when creating new shapes, as well as Align, Distribute, Flip Vertical and Flip Horizontal commands for arranging onscreen objects. The Break Apart command can also be applied to complex shapes. Finally, Number benefits from unspecified performance and stability improvements. Apple's Keynote update focuses on basic iOS 11 compatibility, with release notes for the software mentioning the redesigned document manager, drag and drop, multitasking and support for the Files app. Like its iWork stablemates, Keynote touts new shape and object commands, as well as performance and stability improvements. Keynote are all free downloads from the iOS App Store.